The absolute best chicken soup of any type I’ve ever eaten is from Saigon Cafe in Norcross GA. 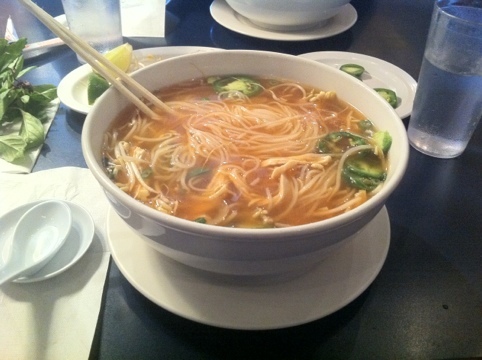 They give you a gigantic bowl (this is the medium), and an impressive amount of sprouts and peppers on the side. The taste is amazing. I suggest you give it a try if you find yourself in the area.